In her three years at Pace, Melanie Greene ’17 has achieved success as one of Pace’s Top 100 Scholars and winner of a Jefferson Award Bronze Medal while working to translate her personal life and professional goals into meaningful volunteer and advocacy roles to help others. Three family members, including her mother, needing kidney transplants has led Melanie to work with Long Live NY to help raise awareness about the need for organ donation and register donors on campus, and her work in Dr. Lawler’s Web Design for Non-Profits class opened an avenue for her ongoing volunteer role mentoring individuals with developmental and intellectual disabilities. Read on to learn more about Melanie and her incredible work! 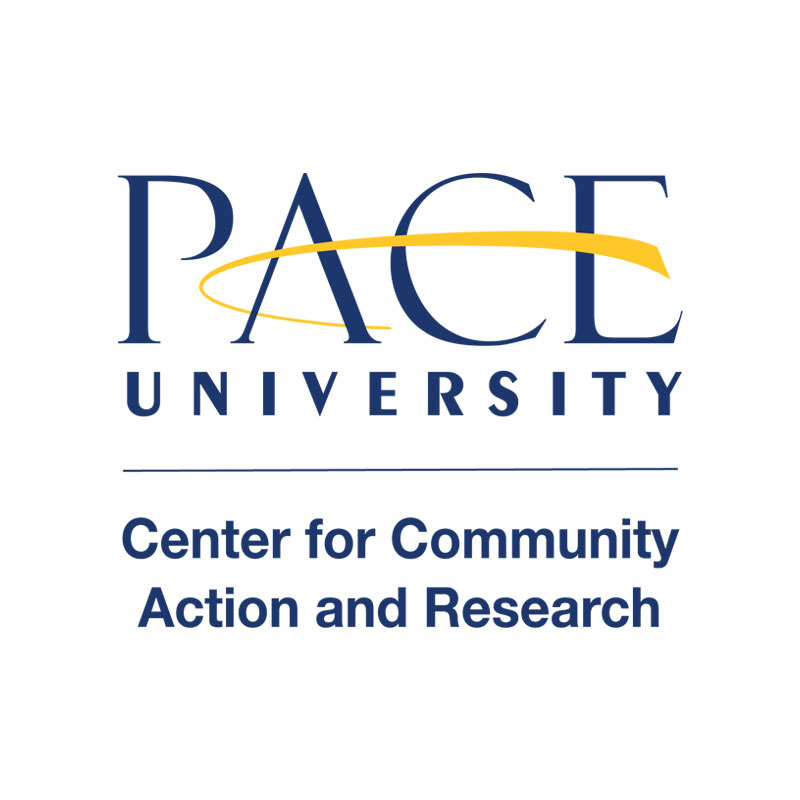 Career Aspirations: I am confident that my work at Pace University will lead me to a lifetime of opportunities in the field of technology to live my dream of giving back to the community and making a difference in someone’s life. In 2014, the news of my mom needing a kidney transplant changed me in many ways. I was shocked and frightened for a long time. I knew I wanted to help, but I did not know how. 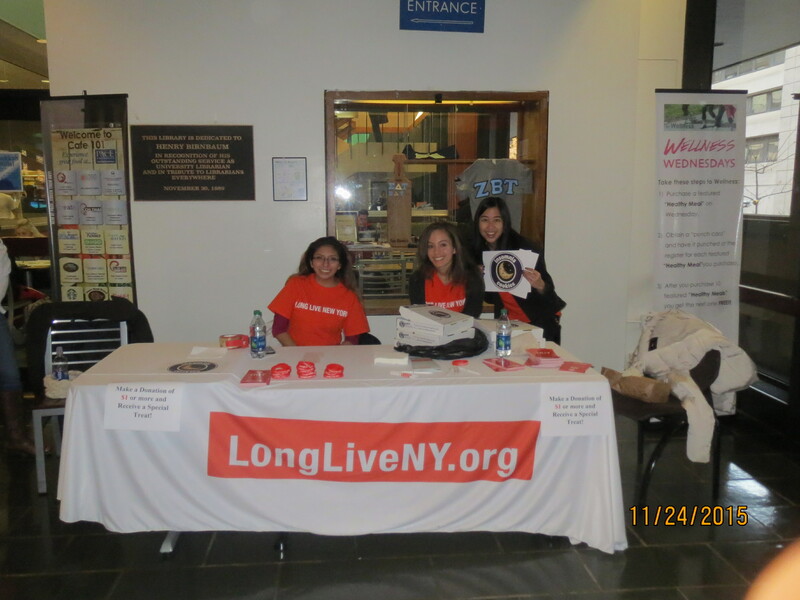 We’ve run into you tabling for Long Live NY (and giving out delicious Insomnia Cookies) since last semester. Can you share how you became involved with them and what sparked your interest in organ donation? Over the summer I took public speaking and for my persuasive speech I decided to address organ donation. My goal was to educate my fellow students on the importance of organ donation. I contacted Long Live NY, our local donation chapter, and asked them for any information that would help me to effectively communicate my message. They graciously provided literature, bracelets, and pens, which I was so thankful for. I was informed of this program where I could educate the student body and faculty members on organ donation. I immediately accepted it. Last semester I received 97 signatures which I am so in awe over. Three of my family members needed kidney transplants and this sparked my advocacy for organ donation. I was much younger when my two cousins needed transplants so I did not understand the magnitude of the situation. 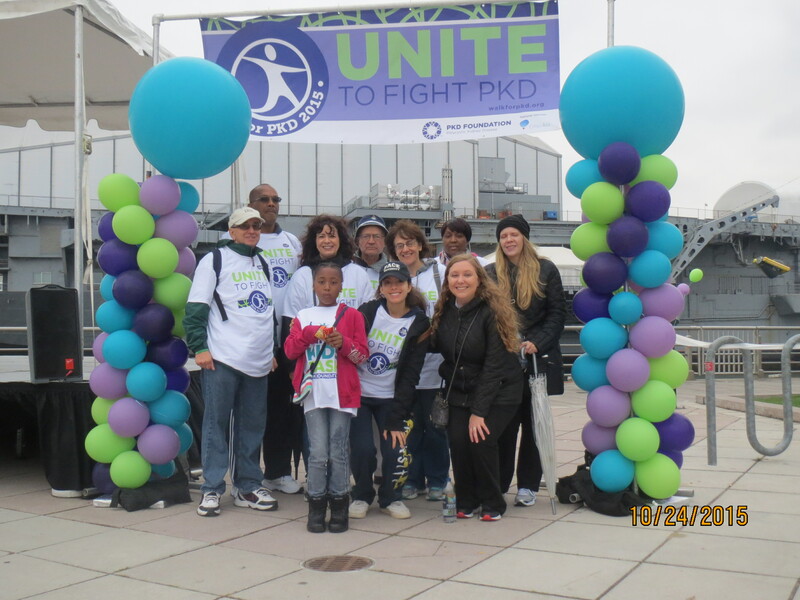 In 2014, the news of my mom needing a kidney transplant changed me in many ways. I was shocked and frightened for a long time. I knew I wanted to help, but I did not know how. We were very lucky that my mom’s best friend for over 30 years decided to donate her kidney to my mother. I am forever grateful for the generosity of this amazing woman. I hope to one day emulate this selfless act of kindness. I aspire to be able to help those who are in need of a transplant. When the time comes, why let your organs go to waste when there is a great need for them? Volunteering is an act of political advocacy. I am a firm believer that one person could make a difference. Having the ability to stand up for what you believe in, or become part of a movement is life changing. I aspire to be able to impact the global community. You mentor teenagers with developmental and intellectual disabilities in using iPad devices and Smart tablet tools to create movies that share their stories. What’s one favorite moment you’ve had working with them? In Fall 2014 I took Web Design for Non-Profits with Professor Lawler, which changed my perspective on life. I continue to visit the partner I had from this class, long after it ended. I worked on many projects working with people who have disabilities. I am a mentor for individuals with autism and I use mobile devices such as the iPad to help them communicate more effectively. Currently, I am teaching four classes on the Amazon Echo for individuals with developmental and intellectual disabilities. My favorite part of all my experiences is seeing how each person is able to interact with the devices and improve their personal well-being. It is truly amazing to see someone so happy that they were able to get Alexa, the voice of the Amazon echo, to respond to their commands. I will never forget moments like that and I cherish every one of them. When people volunteer, the issues they support often hold personal meaning to them. Do you view volunteering as an act of political advocacy? Volunteering is an act of political advocacy. I am a firm believer that one person could make a difference. Having the ability to stand up for what you believe in, or become part of a movement is life changing. I aspire to be able to impact the global community. Pace and Seidenberg have had such a great impact on my life: my classes, my professors, my friends. I am so grateful for Dr. Lawler’s class and the experiences that I have had because of him. They changed my life. I consider myself an advocate for people with disabilities. My life experiences with having to see my mother go through needing a transplant, as well as other family members, made me become an advocate for organ donation. As a women in technology, I advocate for other young women to join the technology field. It is a crucial subject matter that needs to be addressed. All of the experiences I have faced and will face shape the woman who I am becoming. Volunteering in any sector can dramatically change your career path and perspective on life; it shapes your character, personality, and goals. There is more to just getting an education; it is how you decide to use it to make an impact. As a woman of color in the computer science field, do you experience moments of gender discrimination in your workplace? If yes, how do you deal with it? In most parts of the world, technology is accessible and people can use it to make a positive global impact. What are ways that students can use their everyday technological devices to make a difference? Teaching and educating are the necessary components. Whether it is showing a person how to use an application/device or simply helping them set up a Facebook account, introduction is the first step. The ability to inspire others is the next step. Being passionate gives you the ability to inspire. When selecting your civic engagement course, Seidenberg offers several to choose from such as Web design for Non-Profits and Problem Solving Using LEGO Robotics. Both prepare you for sharing your skills with others. You educate, inspire others, and see firsthand how the individuals you work with flourish and gain new skills. 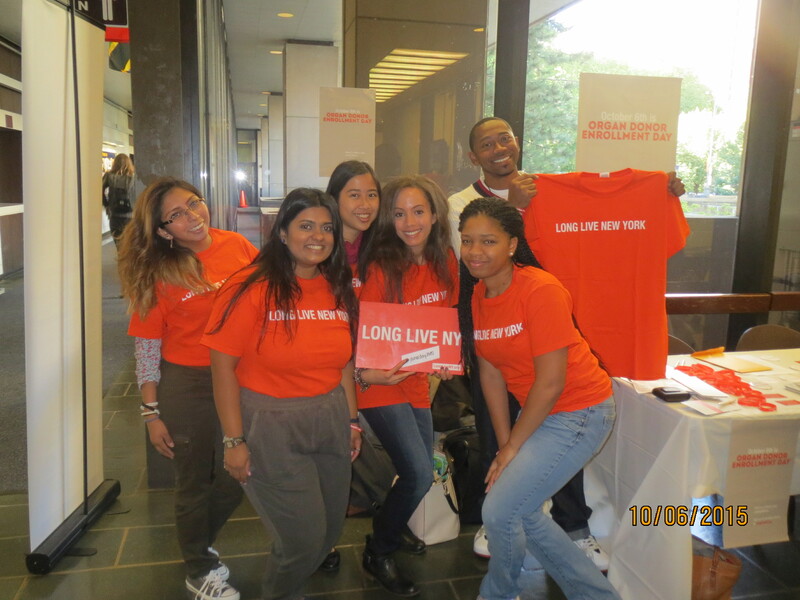 Why is volunteering essential to one’s college experience? Volunteering is beneficial to you and the other party. Volunteering in any sector can dramatically change your career path and perspective on life; it shapes your character, personality, and goals. There is more to just getting an education; it is how you decide to use it to make an impact. Taking Dr. Lawler’s class and working on the various projects with individuals with disabilities confirmed my decision to enter the technology industry. The volunteer experiences I have been a part of are defining who I am and the goals I would like to set for myself. Spring is the season for picnics. Who are 3 women in the technology and/or disability rights field that you would like to meet over food and drinks? I would like to meet Grace Hopper who defied the odds in the field of computer science becoming one of the first programmers of the Harvard Mark 1 computer in 1944, inventing the first compiler for a computer programming language, and thereby giving light to the idea of machine- independent programming languages. Her perseverance is admirable and the road that she paved for other women in computing. I am hoping to attend the Grace Hopper Celebration of Women in Computing Conference, where my goal is to create a network with women in tech. I have the honor and privilege of calling Julie Gauthier and Olga my friends. Julie graduated Pace University last spring with a BS in Computer Science and a Minor in Math and Art. She is currently an adjunct professor, teaching Web Scripting, whom I am very lucky to have as my professor. Olga graduated Pace University in 2013 with a BBA in Finance and a Minor in Economics. She is currently finishing her masters in Computer Science in Seidenberg. Olga and Julie launched a startup called Codapillar, which provides a platform that allows students and teachers to excel in coding. Codapillar provides the environment for students to write, test, and play with their code, while learning the material at the same time. Additionally they have the ability to collaborate and interact with others through technology. Julie and Olga inspire me to realize what potential there is for anyone that works hard.